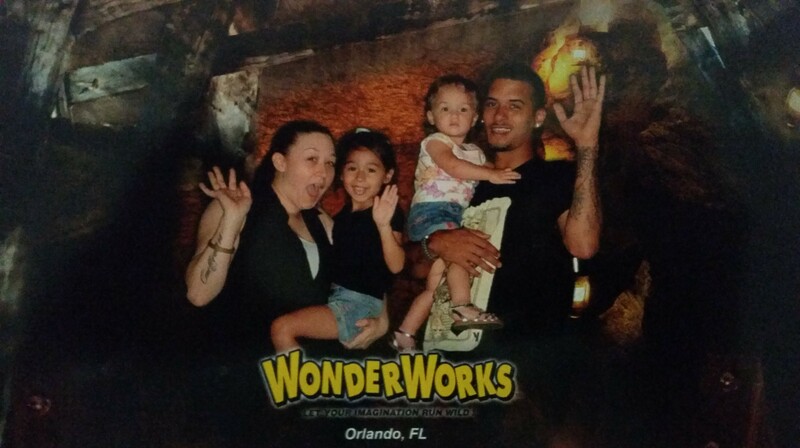 Dare to wonder with Wonderworks Orlando? In exchange for my time and efforts in reporting within my blog and social media networks Wonderworks has provided myself and my family with complementary tickets. Though I have been given these items my opinion within my social media and blog is a 100% my own. Searching through the Internet, scanning the booths as we walk the flee markets… I wonder if there is any other entertainment in our area that is bypassed by some while visiting and not taken advantage by the locals. 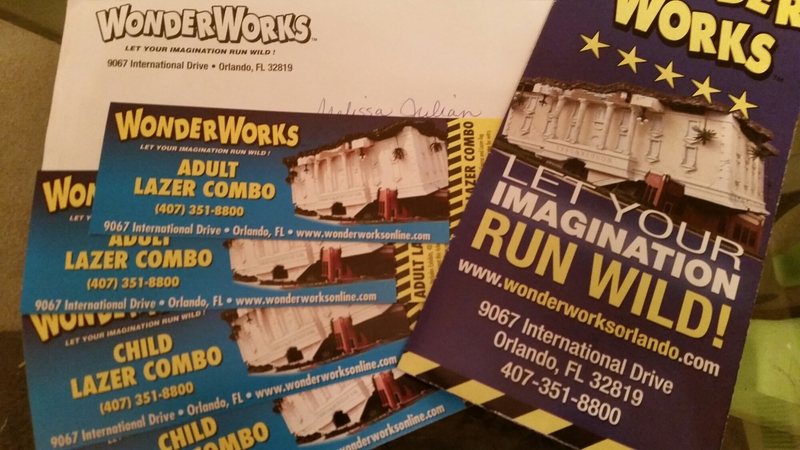 After picking up many flyers and remembering years passed, before being a Floridian some may say; I remember visiting Wonderworks Orlando. 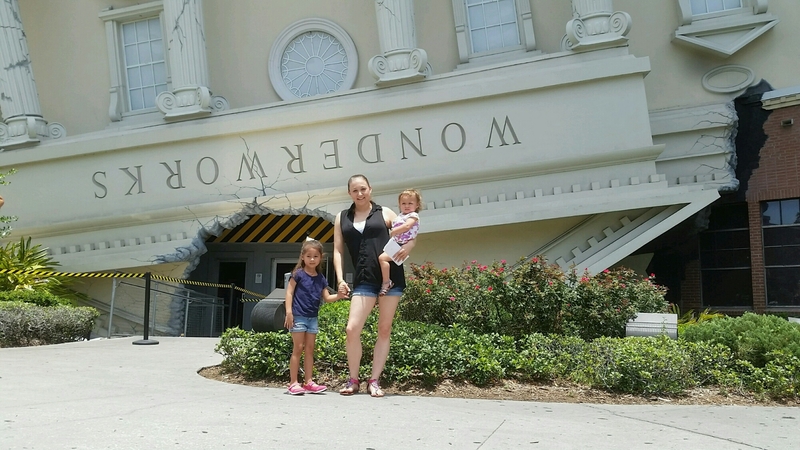 “Is it still the same?”… “Will the girls have fun?”… So many questions flying around in my head; after reaching out to Wonderworks and receiving our complementary tickets the only thing left was to pack our diaper bag and head to International Drive. Tickets in hand I felt like a child, excitement building as to how my daughter’s would enjoy. I remember going in previous years with a high school friend, Else. We had such fun, running around the lazer tag feeling as if we were secret agents. But when we went they didn’t have the rope trail that I remember or a snack bar? “Mommy what’s that noise?” Bella asks as we walk along side of the upsidedown building from the parking garage. ” Look up Isabella.” We kept telling her as she was confused looking at the upsidedown building we explained that we were going in it to play. We started like everyone else in the Natural Disasters testing out the 1989 5.3 magnitude earthquake. To the 71 mph hurricane like winds and as a northern girl I couldn’t help but stick my hand into the freezing 28F waters similar to those of the Titanic disaster of 1912. Taking photos in different posses we were told they would be done within an hour. Plenty of time for us to play, learn and enjoy laughs together. And who could forget the steel armor gloves making ourselves lightening rods. 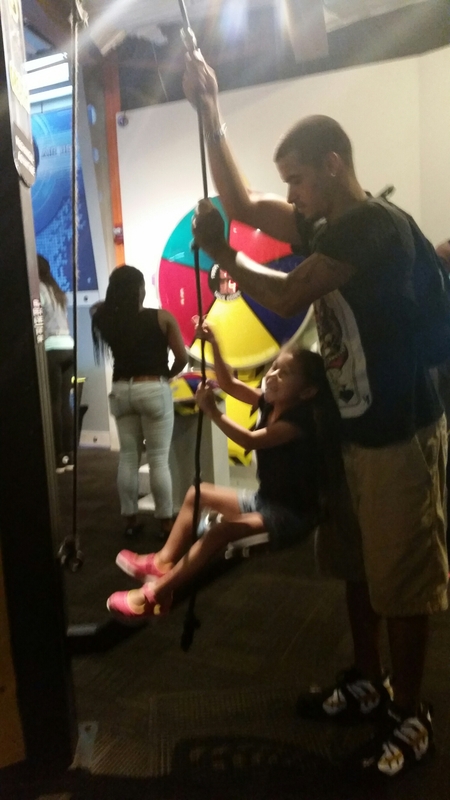 We then headed to the Physical challenges… Awaiting us the Bed of Nails with 3500 nails to lay on we found that just an adult activity that wasn’t for Elleanna (1) and frightened Isabella (4). The Bubble Labwas next… I remembered the bubbles from before; knowing the girls would love to play there we headed to that right away. Putting each other in a big bubble and making the largest bubbles they’ve ever made. Watching their eyes light up, the laughter echoing through the room. After being blown by the hurricane I thought it would be perfect. Testing our strength on the Pulley Power I watched Geraldo help Isabella… But it was another challenge that Elleanna was unable to do. Trying to find actives for the girls to do was a bit more difficult then I imagined. Geraldo tried his best to help Isabella with actives that she couldn’t do alone. We watched the girls faces become frustrated at some of the actives, unable to participate or confused they were becoming less impressed with the surprise. My heart became saddened as I tried to find areas for the girls. Having the girls walk across the giante piano notes and make music. They were just lossing their momentum to keep going. Their attitudes began to change as we tried our best to keep them actively participating. Tugging on my arm, the crying and of course no stroller to relax them and not worry about people running them over walking. I began to lose my happiness; after building up such a positive, happy thought of what the day could be it was going the complete opposite due to the ages of my children and actives we were introduced to. 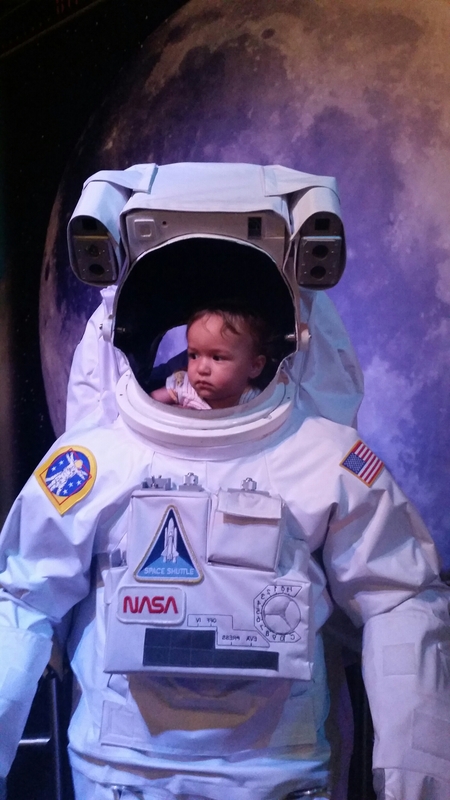 Hoping that the Space Discovery would help a bit with the photos in the space suit and the Mercury Capsule, testing our weights on Earth, the Moon and Mars. 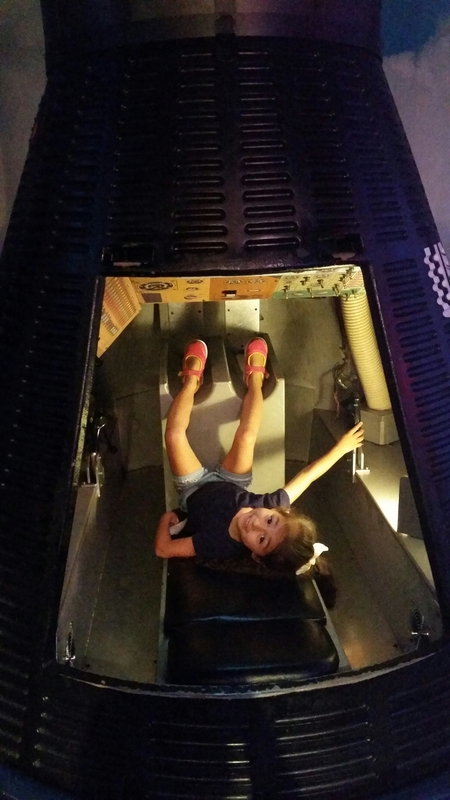 Geraldo landed a space shuttle with Elleanna helping… But again there wasn’t much for her to do. I felt terrible and the children felt overwhelmed with a 100 hands on actives and hardly any for children their ages. We found ourselves searching the Imagination lab in hopes Elleanna could find something from the giant Wonder Brite to the Gear works it wasn’t working out for us. 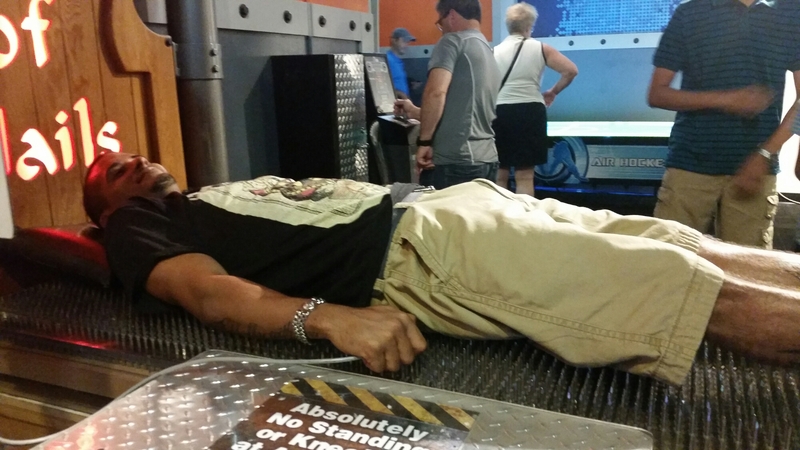 We took our finger prints in the Forensic Science Exhibit… Geraldo was arrested for eating too much candy they said. Elleanna’s finger was too little and Isabella was melting down. We had to keep moving! Crowds everywhere we found ourselves in the most populated area. 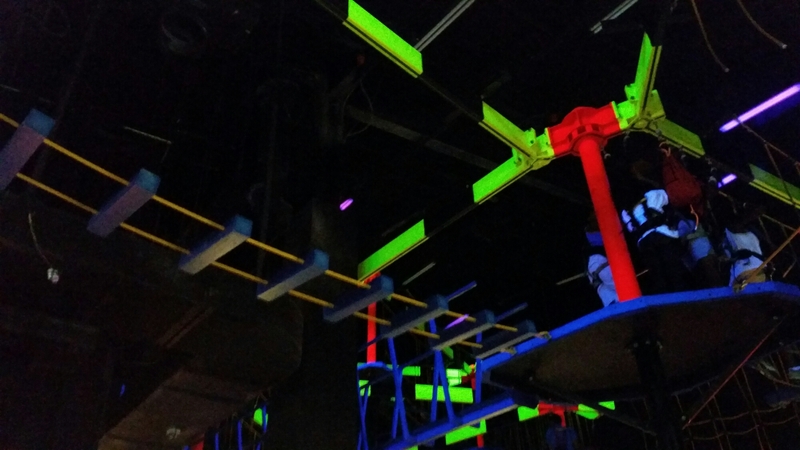 Lazer tag, 4d theater and indoor ropes course. When I previously visited at a younger age I don’t remember the ropes… But since the entrance we knew we couldn’t do much after being told by an employee that the children were too small… We headed our way downstairs again. When we arrived downstairs we found the cafe. 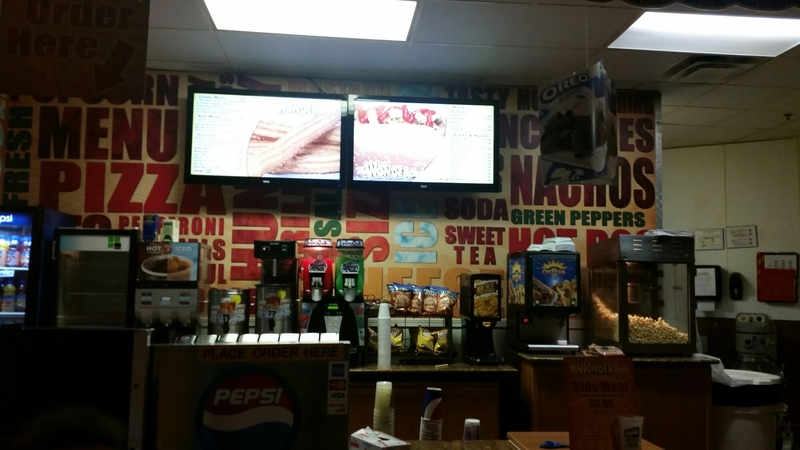 Pizza, nachos, hotdogs, popcorn and beverages along with much more. It was a great area to relax, decide if you may want to go back and try a challenge again or for the first time. A great place for family to make plans and refresh themselves. Heading out the cafe area and into the gift shop we found the photo pick up, stuffed animals, clothing, candy and toys. Oh gosh this was going to be a hard place to get out of with Isabella, though the kids acted up we bought a cup of candy. A treat.. While waiting on photos to be finished. Due to the fact we got through the activities, challenges and educational areas so quickly because of our children’s attitudes and lack of being able to participate our photos weren’t finished. The employees were so kind and offered to quickly do them. Thankfully though it was a rough trip because of the ages of our children we had a great, scared looking, family photo. It’s hard to tell what actives, entertainment and attractions would be best for your children whether on vacation or having a family fun day here at home in Orlando. I have to say Wonderworks is an attraction best for children of a greater age then my own. Perfect for teenagers and young adults; an experience with friends, family or a date. What attractions would you see with your family while visiting Orlando? We know Disney is a big one along with Universal but keep your eyes open to the Wonders out there.